Looking through pictures will give you a peek into her life as a teen. Spending time with your grandmother will create a special bonding experience for both of you. She will enjoy listening to you talk about your life and be able to offer her words of wisdom from her own personal experiences. Plan something fun to do together and create new memories to cherish with her. Spend the day in the kitchen to learn family recipes from your grandma. Carefully follow her step-by-step as she makes the secret recipe for her beloved casserole or cake. Laugh with her at any food mishaps you make along the way as you attempt to re-create her famous foods. Surprise her one day by making her recipes on your own and get her to taste them to see if they measure up to her standards. Alternatively, plan a day to have a bake-off. Decide on the same baked item to make separately that she taught you. Enlist the help of family members to serve as judges to declare the best-tasting dessert. 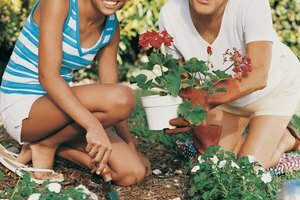 Growing a garden will be a time-consuming yet fun activity especially if you'll be staying at her home for several weeks. Be mindful of her area's climate when deciding on what vegetables to plant and head to a local nursery to select the appropriate seeds. Find an ideal plot in her backyard. 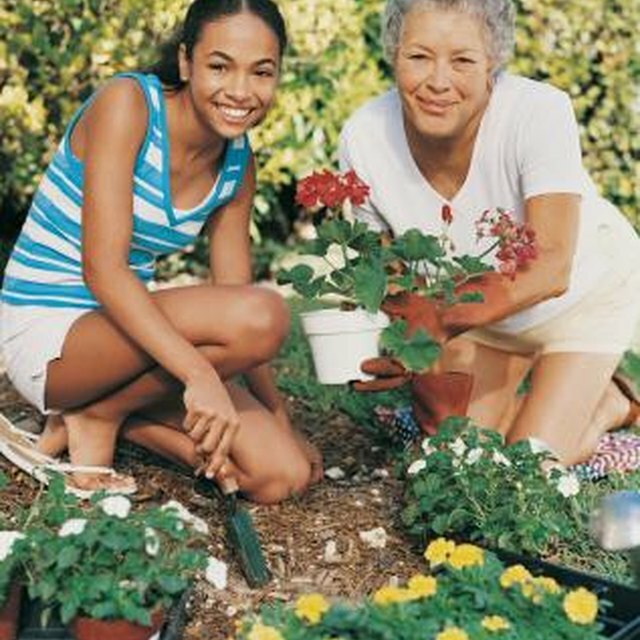 Allow your grandma to give you a few pointers about gardening and work together to prepare the soil and plant the seeds. Though you may find it hard to believe, your grandma was your age at one point. Take the opportunity to learn about her childhood and young adult life. Look through old photo albums with her. Ask her questions to help her reminisce about her past, such as her favorite activities growing up. Bring out your own photos to compare how things differ now than from her childhood time period. For example, she probably typed her school papers on a typewriter as opposed to a computer. Record your discussion for you and your family. Ask your grandmother to come along with you to learn something the both of you are clueless about. Enroll in a class together at a local community center. Learn a foreign language. Spend time practicing in class and use the language in daily conversation with your grandma in person and over the phone. Then, plan a trip together to a place where the language is primarily spoken to further enhance your learning experience. Or, take up an adventurous class, such as hiking or scuba diving, to explore the ocean or outdoors together. Alternatively, introduce each other to favorite hobbies. Let your grandma teach you how to knit or sew while you show her how to play basketball or soccer. Taylor, Wannikki. "What Are Fun Things You Can Do With Your Grandma?" 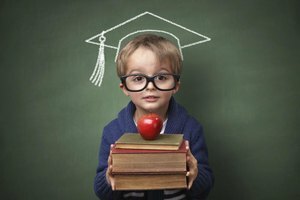 Synonym, https://classroom.synonym.com/fun-things-can-grandma-8170.html. Accessed 18 April 2019.